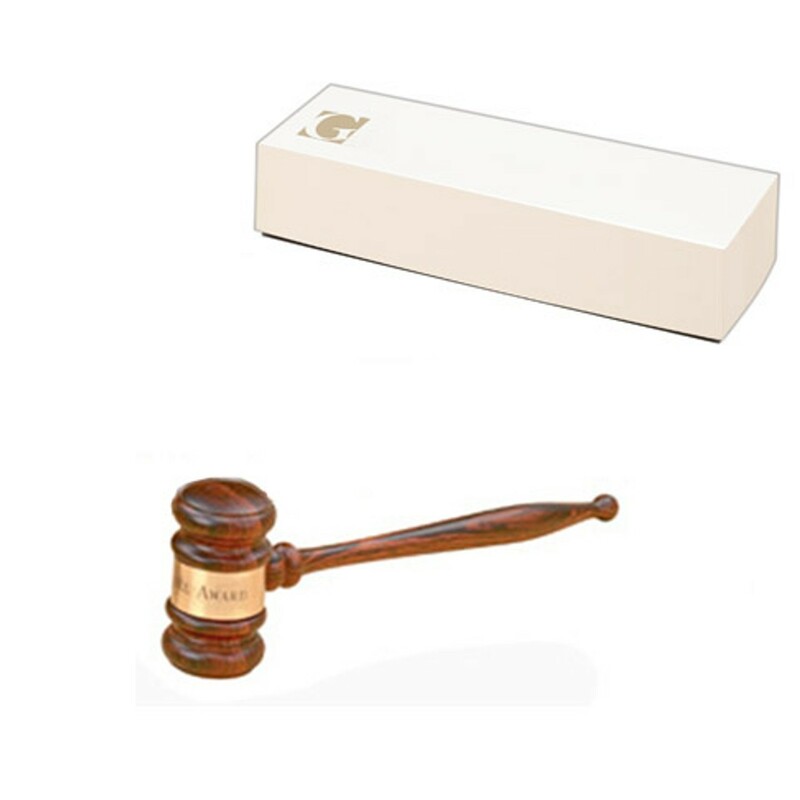 Our Solid Rosewood Gavel is a great gift for a judge, past president, or other leader. Made of stunning imported solid rosewood, it includes an engraved brass band for customization. Price includes engraving; optional sounding block is also available at additional cost.